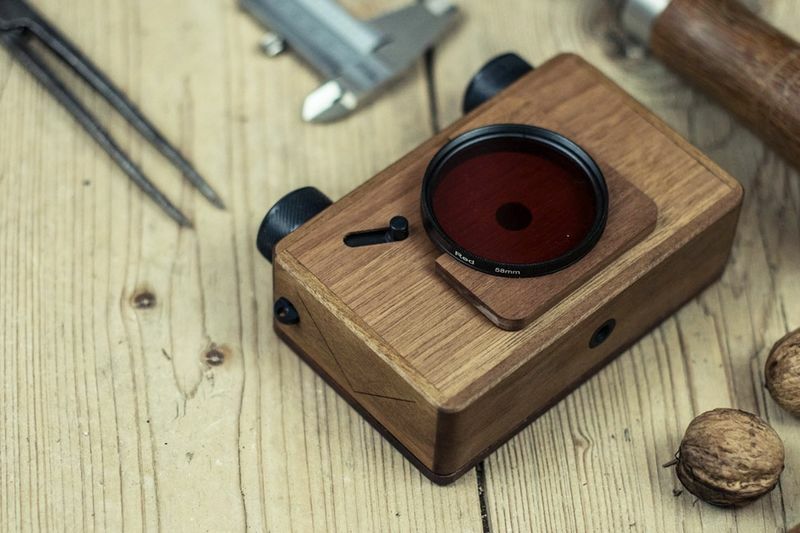 Have You Seen This Wooden Pinhole Camera? Home / Computers/technology / Gadgets / Have You Seen This Wooden Pinhole Camera? Film cameras are making a comeback, and a small crafts company, ONDU, has created a pinhole camera from premium natural materials including bright ash and walnut wood. Keen to fill the gap in the market for appealing durable pinhole cameras, ONDU launched its first Kickstarter campaign in 2013. Positioning its design for a wooden pinhole camera as a device to be passed on for generations. More than one thousand early supporters later, and ONDU released a range of six different types, each one differing in size, price and film format. After gathering feedback from the global pinhole community ONDU launched another campaign in 2015, the ONDU pinhole cameras MKII. These cameras boasted a range of features from a field of view engraving lines to levelling bulbs as well as a smoother, adjustable shutter. The construction methods were improved and, all in all, a simpler yet more versatile camera was made. Now the range grows again with their latest series the ONDU pinhole camera MKIII, drumming up support via its own Kickstarter campaign. It includes options from a 135mm camera to a 4×5 film camera, including some panoramic sizes in between. The 120 film cameras can also be adapted to use 135mm film. The third generation uses a magnetic shutter that allows for smoother, shake-free shots and features that satisfying click noise. The third generation also uses hidden magnets allowing the use of circular filters. The cameras are largely made from ash and walnut, while the interior parts and those most susceptible to wear and tear are created from CNC-milled aluminium. The company also added carrying loops and a strap for more carrying options. As well as debuting the classic camera ONDU share the rising series which uses three pinholes instead of one. This enables photographers to compose with the rule of thirds without distorting the perspective in your image as was traditionally done. This series includes models from a 120mm film to 4×5.cameras, compatible with the Cokin series A square filters. The company has more than quadrupled its Kickstarter goal of €17,640. Pledges include a camera start at $89 and increase as the film size increases, with the rising series starting at $168. And the company anticipates delivery in May 2019. In the meantime, have a look at the campaign video below.